In 2012 the Fort Collins Conservation District started a baling twine recycling program in response to a landowner’s inquiry. There is no need to burn, bury, or throw the twine in a landfill when it is 100% recyclable. A 2017 grant from the Colorado Department of Public Health and Environment for the purchase of a pelletizer provides in-state processing of the twine. The added value provided by the processing helps the program to be sustainable as we organize collection as a fundraising activity for youth groups such as the National FFA Organization and 4‑H. Most of the baling twine used in rural areas ends up in a landfill. Much of it accumulates on landowners’ property or is burned. It is unsafe to burn the polypropylene twine due to the toxic fumes emitted. Wildlife and livestock can ingest baling twine and become seriously ill or die. 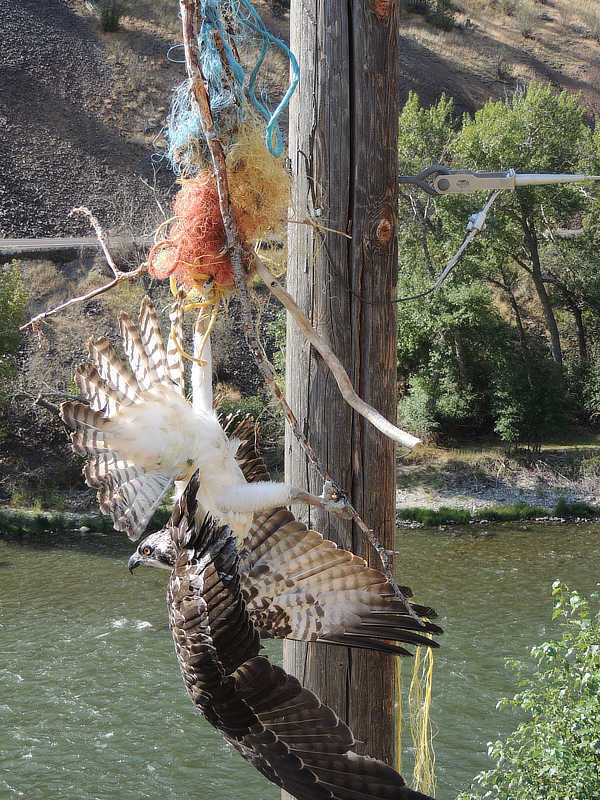 Twine poses an especially deadly strangling hazard to birds. 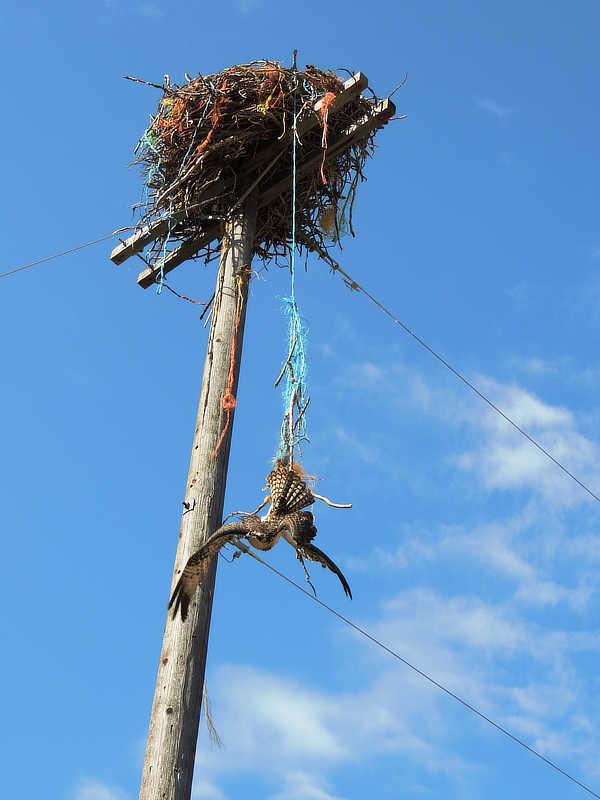 Researchers have reported that baling twine is responsible for entangling and killing around ten percent of osprey chicks annually in some states.